In a medium bowl, add together oats, flour, baking soda, baking powder and salt. Whisk until mixed and set aside for now. In a larger bowl, whisk together the oil, sugar, brown sugar, milk, flax and vanilla extract. Whisk until incorporated. Add the coconut if using, chocolate pieces and chopped pecans to the wet mixture. Slowly add oat mixture to wet mix and stir until combined. Scoop out a large walnut sized ball of dough and gently squeeze and shape it into a round ball, place it on a parchment paper covered cookie sheet and gently press it with the back of a measuring cup or spoon. You want to make the tops flat so that your sandwiches will sit flat and not be domed and uneven. Bake in the oven at 350 degrees F for 10 minutes, 6 – 8 cookies at a time. You want them to still be soft from the top, but have a firm bottom. Let them cool on a wire rack while you prepare the mocha buttercream. Whisk together the powdered sugar, salt and cocoa powder in a medium bowl. In a large bowl, cream your shortening until pliable. Slowly mix in powdered sugar mixture a small amount at a time. I used an electric hand mixer to get it super creamy. Once you mix half of your sugar mixture into the shortening, add half of the coffee and whip well. Mix the rest of the sugar followed by the last of the coffee until it’s as creamy as you prefer. Make damn sure your cookies have completely cooled. 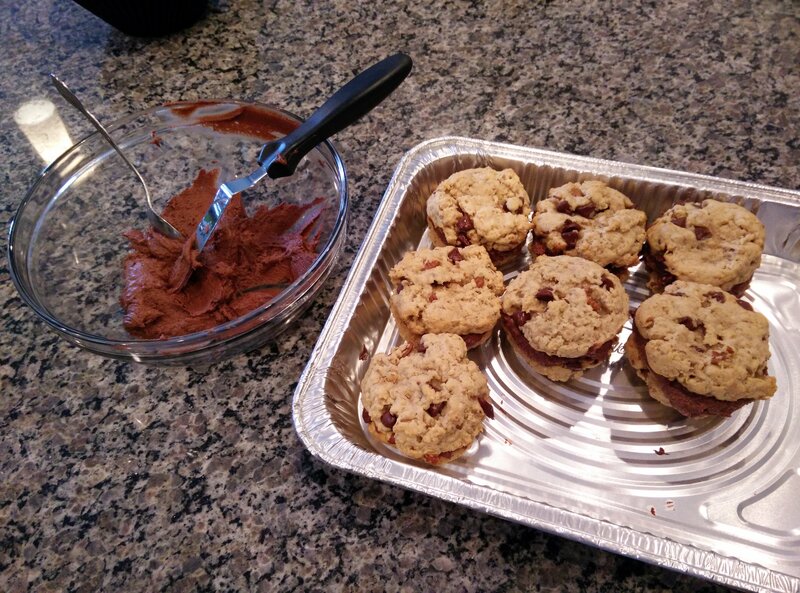 Start by sizing up your cookies and pairing them together with ones that match, that will make things easier. Once you have all of your cookies paired, spread a fair amount of buttercream on one and gently press and twist the matched cookie on top. 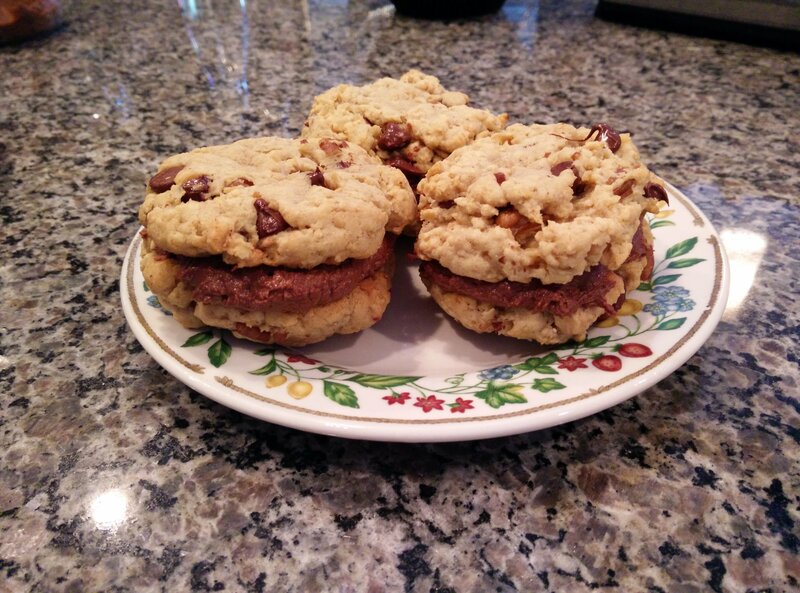 I had enough cookies to make about 13 sandwiches, with some leftover buttercream. Enjoy ! !